We met up with Brittney and Kyle on a gorgeous evening for some romantic river valley engagement photos in Edmonton’s Mill Creek Ravine. 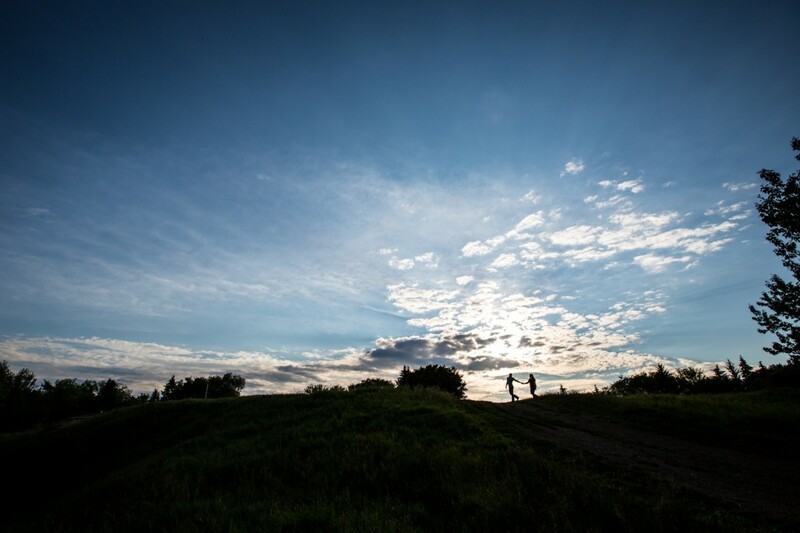 We managed to evade the mosquitos, catch an epic Edmonton sunset and have an awesome time with these two love birds. When we first met Brittney and Kyle we spent most of the meeting chatting about our mutual love for coffee, adventure and the great outdoors. We had that sort of instant connection that left us in agreement that “YES, OF COURSE!” we would be their wedding photographers. Despite the snowy weather we set plans in motion for an outdoor engagement session that would show off Brittney and Kyle’s love for each other and their love of nature. 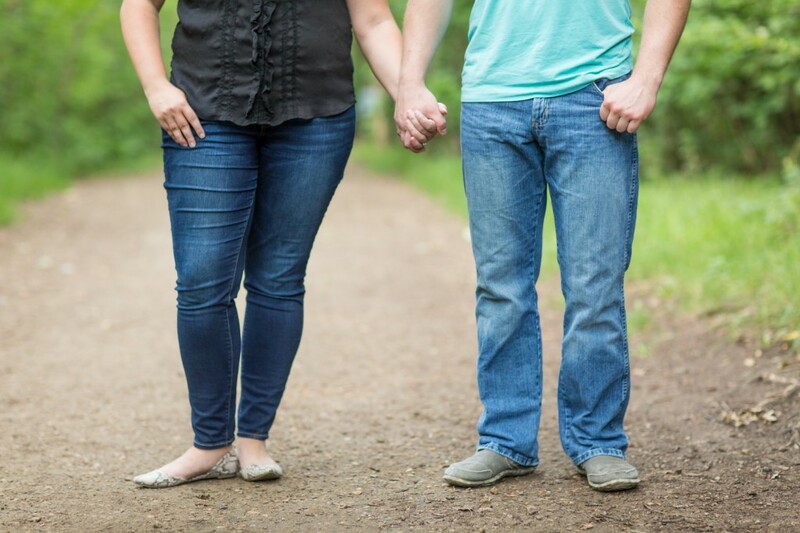 Brittney and Kyle like to keep things light and laid back, so their casual engagement session was literally a walk in the park. 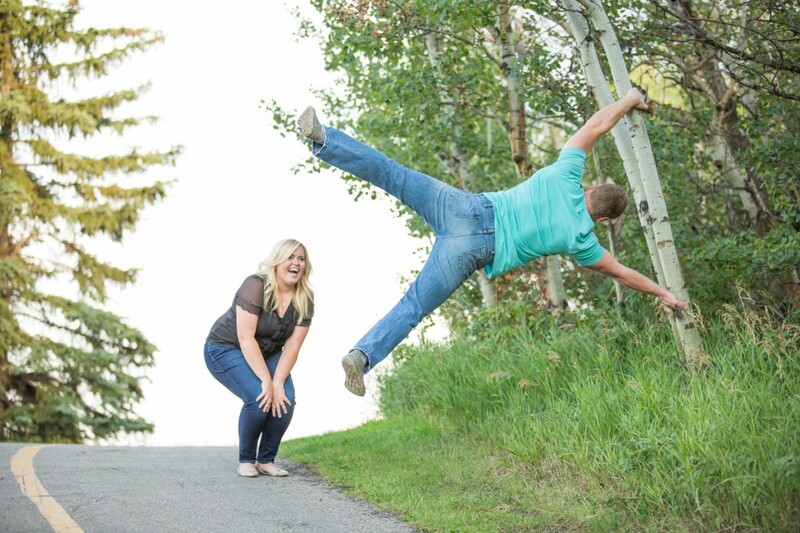 Kyle even performed a few feats of strength, much to the amusement of Brittney and a few entertained onlookers. These two make it easy to be photographers. The connection between the two of them is sweet and silly. They could not go more than a few minutes without snuggling, giggling or chatting. That connection is what we love to capture. Engagement photos are about celebrating your love and looking forward to the adventure of life together. We are so excited to be travelling with this fabulous couple to the beautiful Riu Guanacaste in Costa Rica in February for their romantic destination wedding! 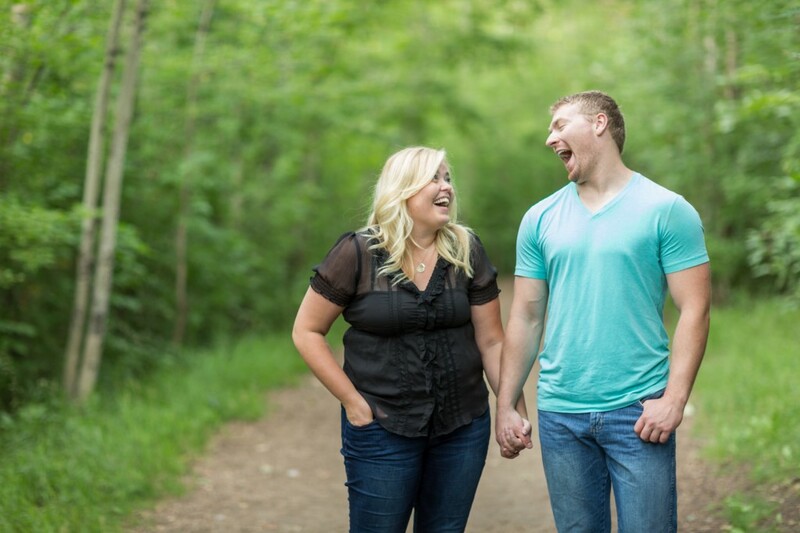 If you are planning your engagement session but are feeling nervous or anxious, don’t worry! 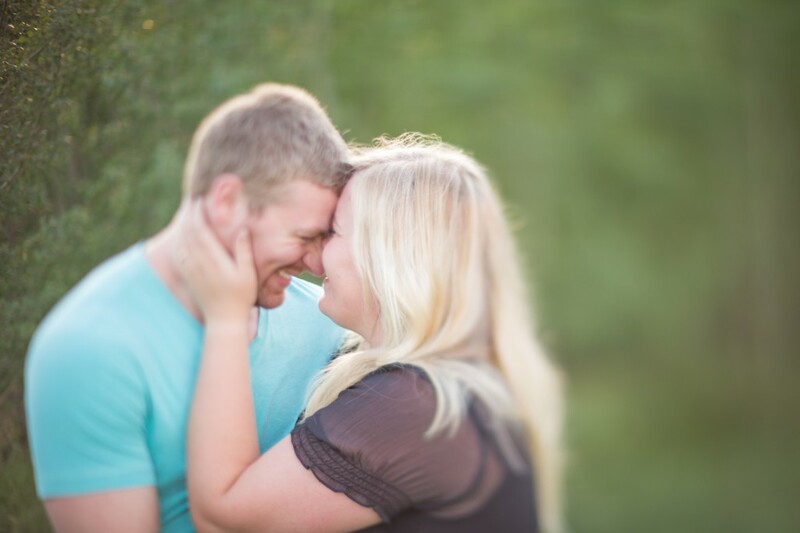 Your photographer should be a pro at working with couples and making them feel at ease. 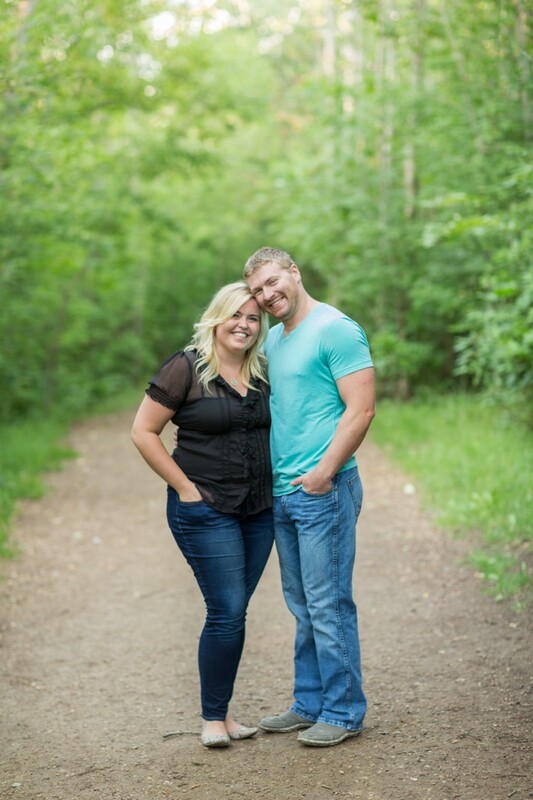 We have put together this little guide on preparing our couples for their engagement sessions. Take a look, maybe it will help you with your session!